Home to one of Europe’s most exclusive resorts - the Costa Smeralda, with a long stretch of white powder-sand beaches, crystal clear water and chic, expensive resorts. The North East of the island is not all glitz and glamour... Away from the coast, the lush macchia and granite covered hillsides spill down to traditional market towns and hidden coves. Arzachena - Visit the prehistoric remains including the Albucciu Nuraghe, the Tomba dei Giganti Coddu Vecchiu and the Li Muri Necropolis, scattered around the town. 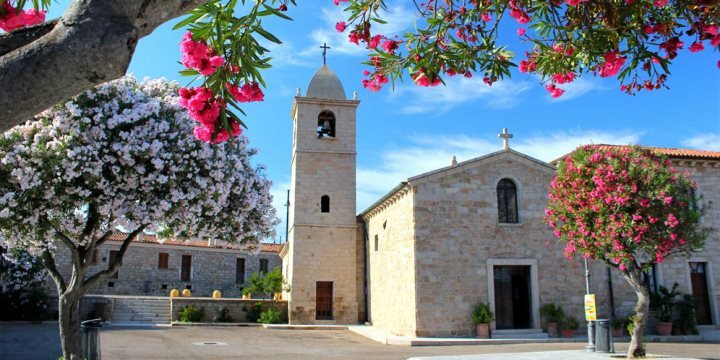 Inland Gallura - Explore by car or on foot the dramatic mountains of the interior, the rugged countryside and the small character towns and villages. Alternatively, leave your car in Palau and take the stream train to Tempio Pausania, a spectacular journey across the Galluran countryside. Agriturismo - Sample traditional Sardinian cuisine in a farm restaurant. Amongst others, we recommend the Agriturismi Tenuta Pilastru, la Sasima or la Somara, all located near Arzachena and San Pantaleo. La Maddalena islands - Spend a day cruising around and swimming from these stunning islands - a favourite with those seeking tranquillity, natural beauty and unspoilt surroundings. Corsica - Take the ferry from Santa Teresa Gallura across to the neighbouring island of Corsica and visit the fortress town of Bonifacio.